I share a special fascination with idle games. There’s something satisfying about watching all of your automation in action that makes it zen-like. 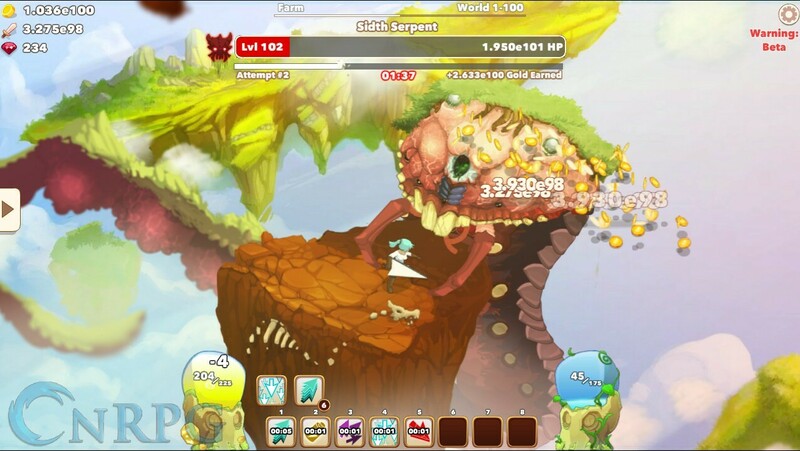 I played countless hours of the original Clicker Heroes, thoroughly engrossed and entrenched in optimal setups, quick ascensions, and rapid growth of power. That sentence may have confused some people though — idle games are meant to be set and forget, right? 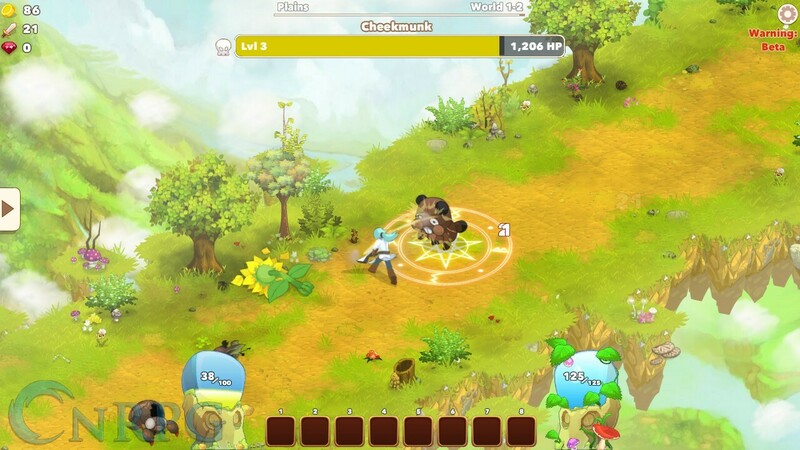 Playsaurus announced Clicker Heroes 2 some time ago, and has finally launched a beta version of the game. I can tell you this much: I’ve already been robbed of hours of my time, just like the original stole from me. 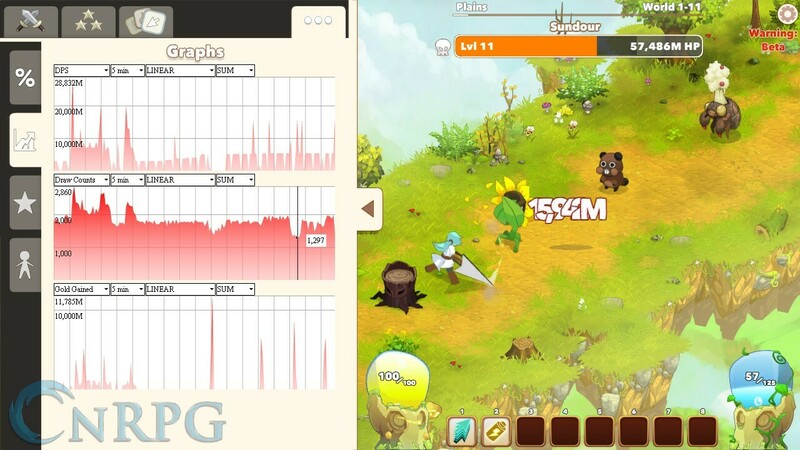 The fundamentals of Clicker Heroes 2 don’t differ much from the original. You progress through several stages of monsters who don’t fight back, butchering them for their sweet, sweet gold. Occasionally you’ll upgrade to gain more power so you can kill said monsters faster. There are bosses who have substantially more health than their minions that you’re a time limit to defeat. 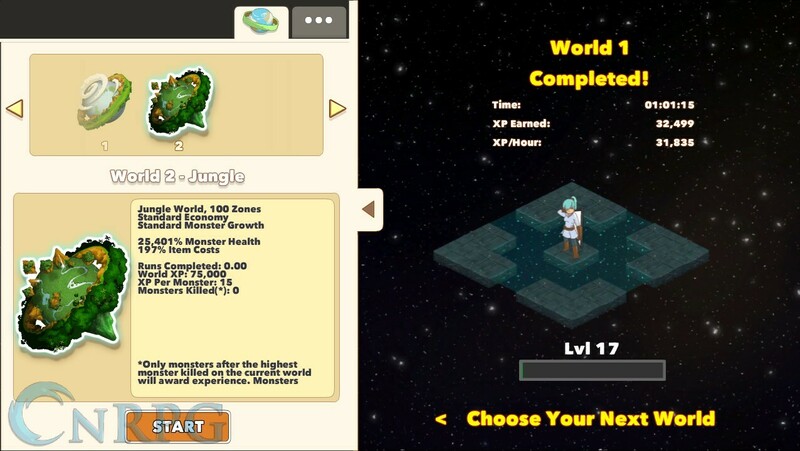 There are even additional upgrade paths to take beyond just leveling up heroes. 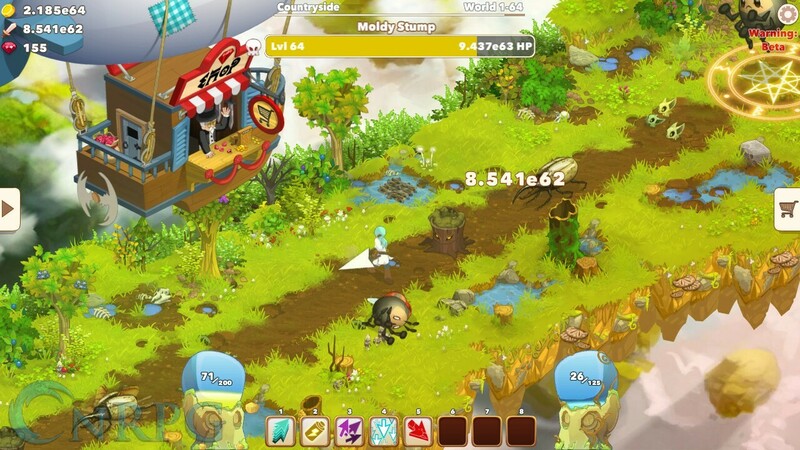 However, Clicker Heroes 2 is vastly different than its predecessor, to the point where some people think it shouldn’t be called a sequel. Gone are the multiple heroes; you only control one at a time. 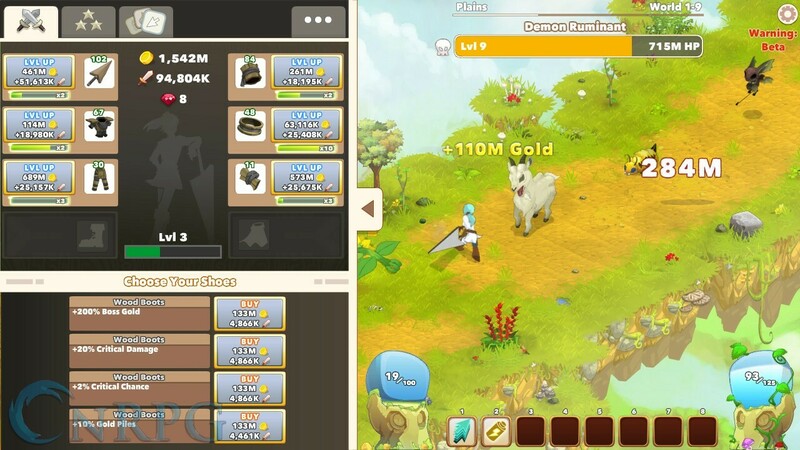 Gone are the hero upgrades; equipment is the only thing you level now. Gone, too, are leveling ancients for alternate progression — well, sort of. I’ll get to that. What’s been put in place of all this are genuine RPG style stats. 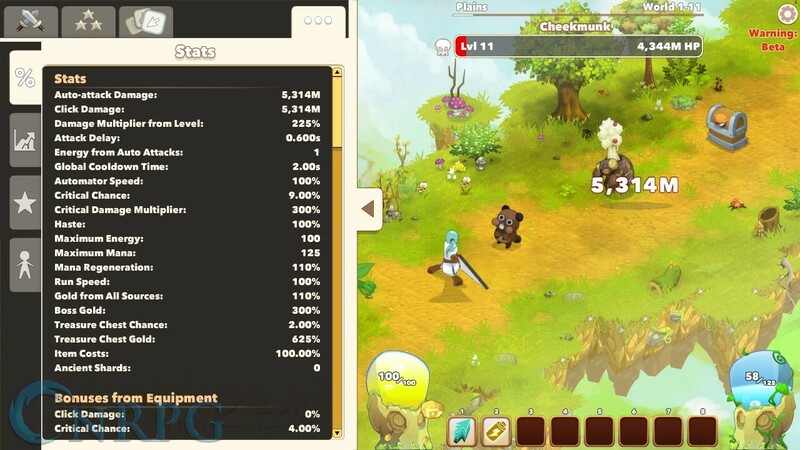 Upgrading your equipment grants you the choice to enhance its stats with things like increased damage, energy, mana, or my personal favorite, haste. 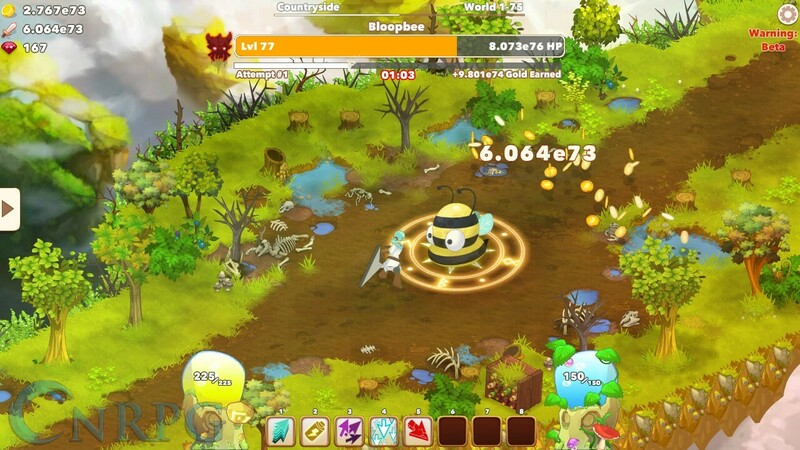 Skills are also still a part of the Clicker Heroes experience, though they function far, far differently in this sequel than they did before. 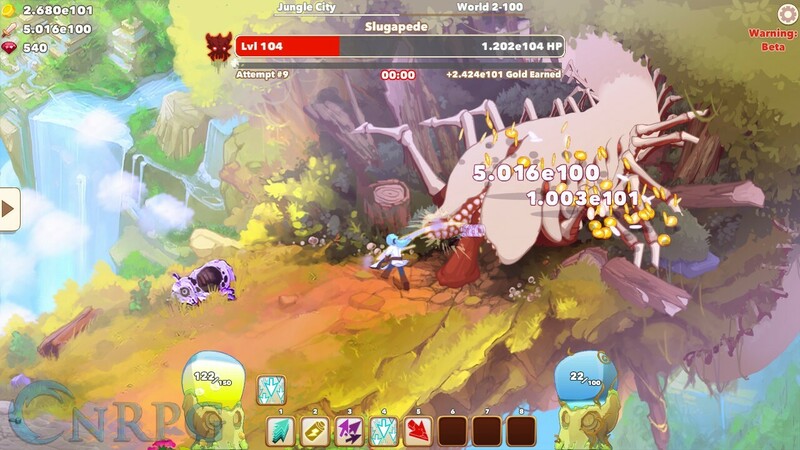 Skills can take either energy or mana, and most of them have a vastly shorter cooldown than they did in the original. These skills ranged from a set number of clicks, to powering up your next clicks, to even enhancing the potency of your next skill. Some can be turned on and will only turn off when you’re out of energy or mana. Interesting to note: clicking takes energy too, which seems mostly in place to prevent people from just auto-clicking their way through things. 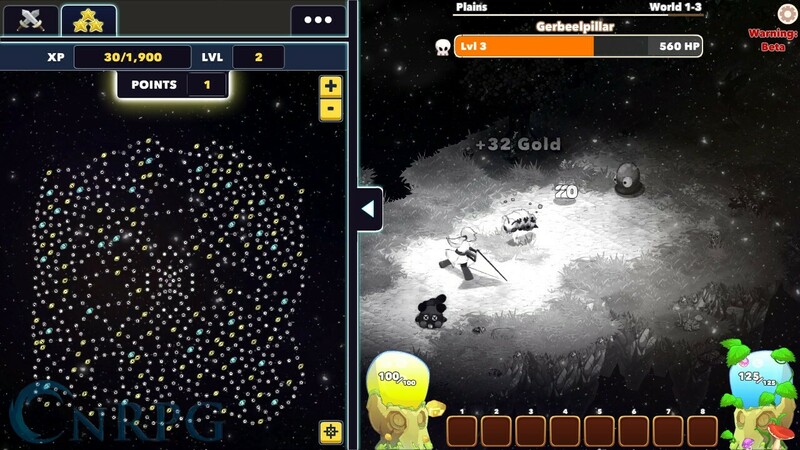 The thing that stands out the most about Clicker Heroes 2 is the skill tree. When I say skill tree, I mean a Path of Exile style skill tree. Seriously, look at the screenshot: the thing is MASSIVE. As you kill monsters, you gain experience. When you level up, you get a skill point to put in this skill tree. You’re locked into your first few points, but after that? The power is yours! These points represent a permanent boost to your character, similar in fashion to a rogue-like. See, when you clear a world, you lose all of your equipment, but by investing in these skills, you come out of each world stronger than you started. The ancients I mentioned earlier, from the original Clicker Heroes? They exist on the tree as what some would consider capstone abilities. There are yellow and blue nodes on the board that grant far more power than a regular one. Some blue nodes even vastly change certain skills. These are the nodes you want to aim for when putting together your build. Another feature greatly expanded on from the original game is the automator system. 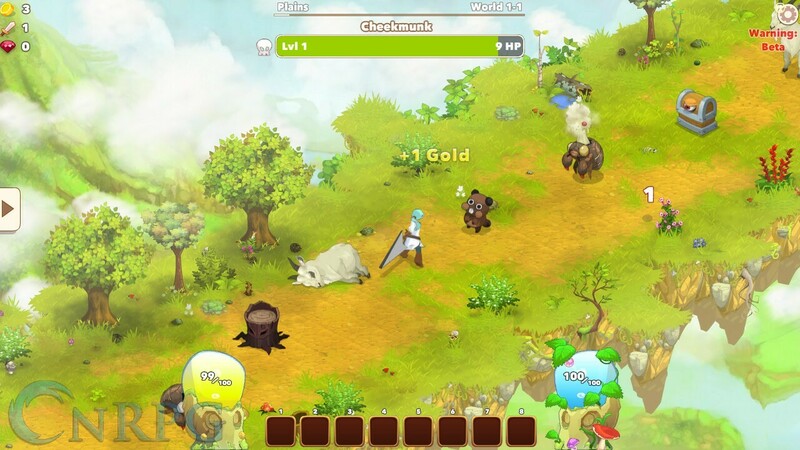 I originally stopped playing Clicker Heroes right around the time they introduced an auto-click system, so I can’t say much on how they operated there, but as you spend points in the skill tree, you’ll unlock additional setups for the automator. Basically, you start with some basic commands like a base cooldown of four seconds and a multiclick ability. Put them together and bam! 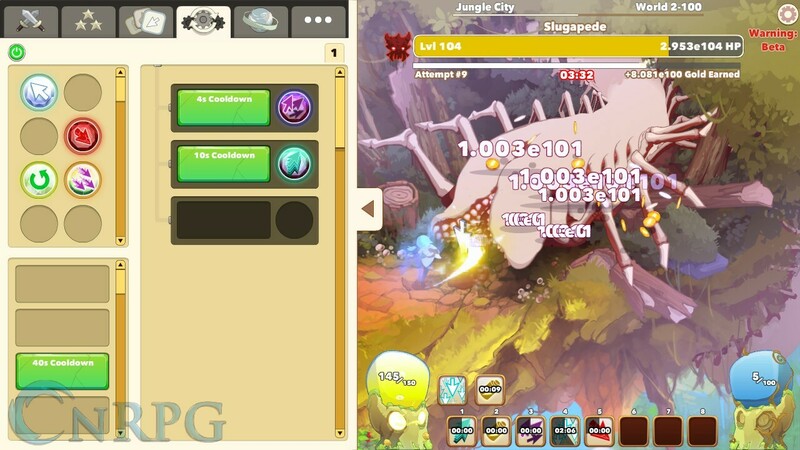 Every four seconds you’ll use the Multiclick ability. 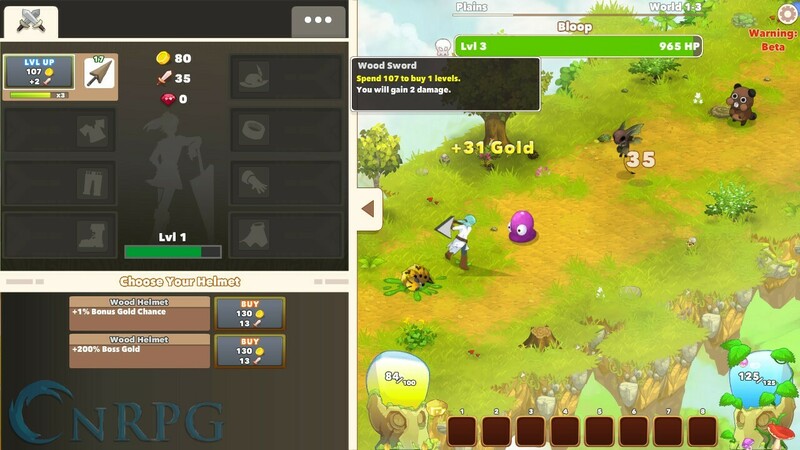 It can get much, much more complex later, though, and can be used to upgrade your equipment for you, choose upgrades to said equipment randomly, and more. For players that truly want a hands-off experience, the automator will be right up your alley. 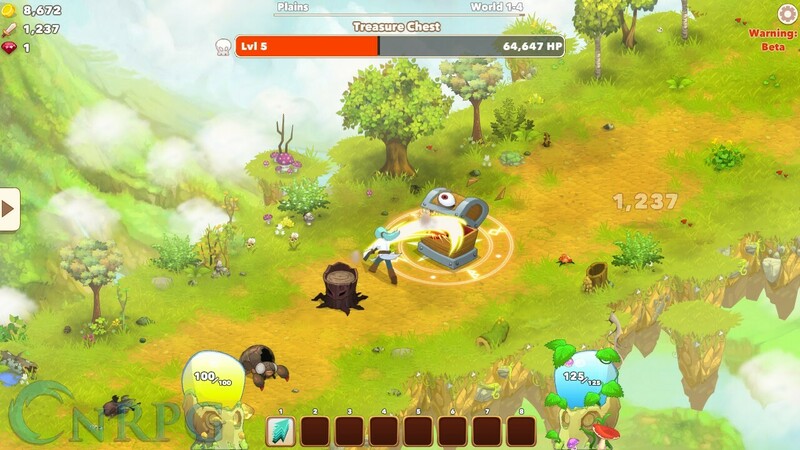 There’s a lot to like about Clicker Heroes 2 in its current state. The animations are smooth and fluid, even when you stack haste like I do (seriously, haste is so wonderful). The end bosses for each world are massive and impressive, and in some cases ghastly and grotesque (I’m looking at you World 2!). I’m personally enamored with the skill tree and the massive flexibility it gives me, even as people are endeavoring to optimize builds. Some people are balking at the price tag, given the first was free; however, there is the promise of absolutely no microtransactions. So far, from the beta, there’s no need for them either. Yes, there will be leaderboards in the future, but those will hopefully be closely monitored. Keep in mind that if you get in the beta now, there will be a reset happening soon. It will be the only one coming, thankfully, but it does need to be mentioned. Also, there is no cloud saving currently, mostly because of the impending data reset. 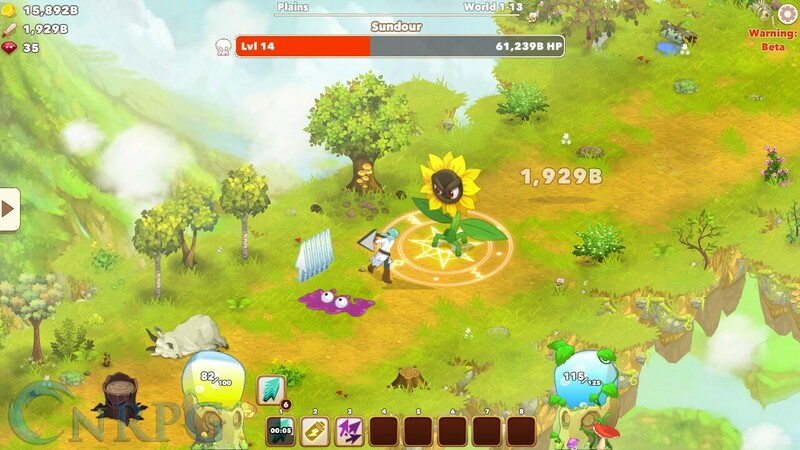 Clicker Heroes 2 has been an absolute charm for me, though, and I’m looking forward to seeing what developments come its way.